Virtual Tour Beautiful one of a kind contemporary custom 2800 sq. ft. ranch home w/3 fireplaces. Enjoy your own private tranquil oasis in this spacious, bright, open floor plan. Grand foyer with elegant spacious LR w/15' soaring ceilings, FP, picture windows throughout, 1st floor den includes one of the fireplaces. Open kitchen w/36" cab, granite tops, newer appliances, pantry, eat in kit. Master bedroom suite, huge walk-in closet, oversized bath with jacuzzi, separate shower. Spacious basement w/full finished bath ready for your design ideas. Calming and serene 4 season room w/entrance to backyard offers a private and peaceful setting, bbq area, professionally landscaped. I was searching on Blue Fence and found this listing. 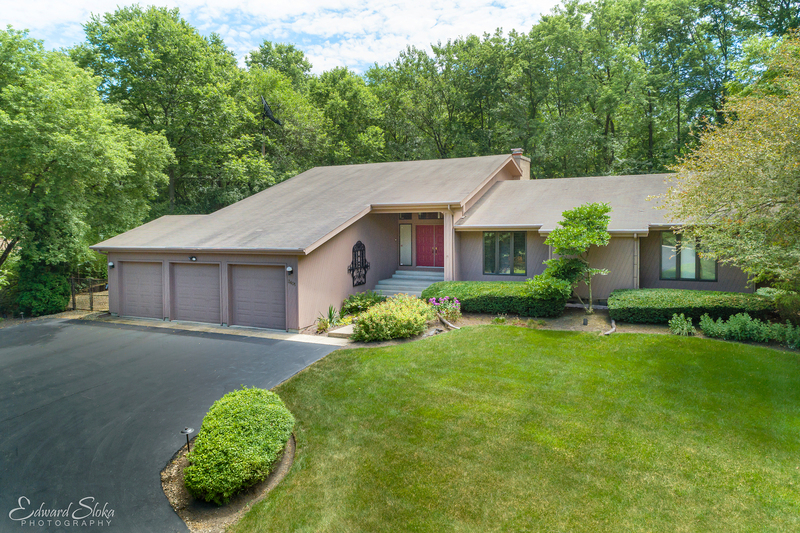 Please send me more information about 3401 Sherwood Forest Drive , Spring Grove, Illinois 60081. Thank you.